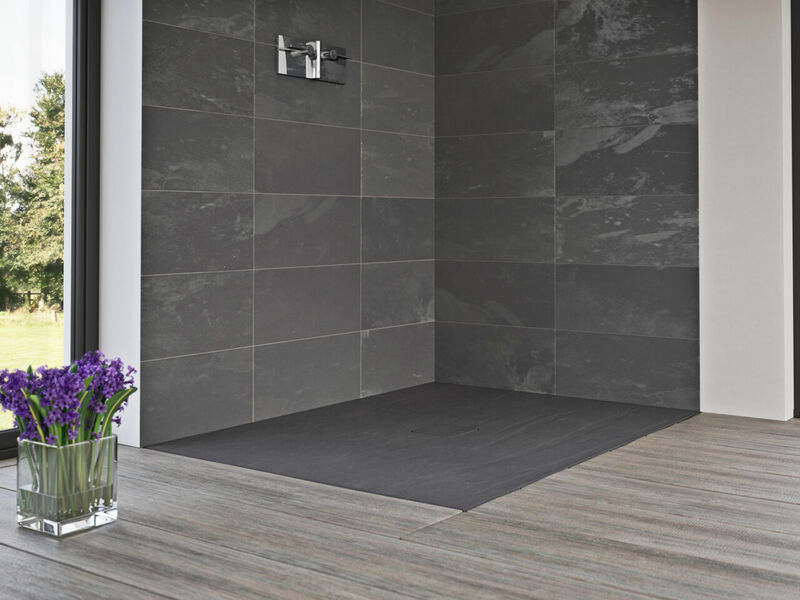 The Slate Shower Floor has an authentic textured finish and with colour matching, there is the possibility to seamlessly coordinate the Shower Floor with surrounding floor tiles. 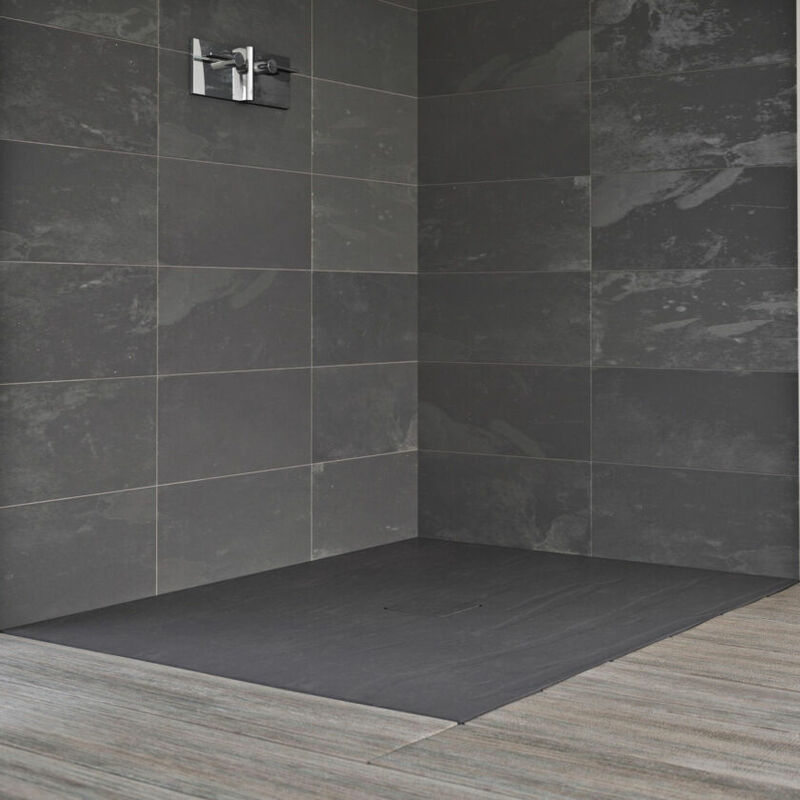 The Shower Floor is manufactured from cast Stone Resin with a hardwearing gel coating. There is also the possibility to create bespoke rectangular and square sizes. 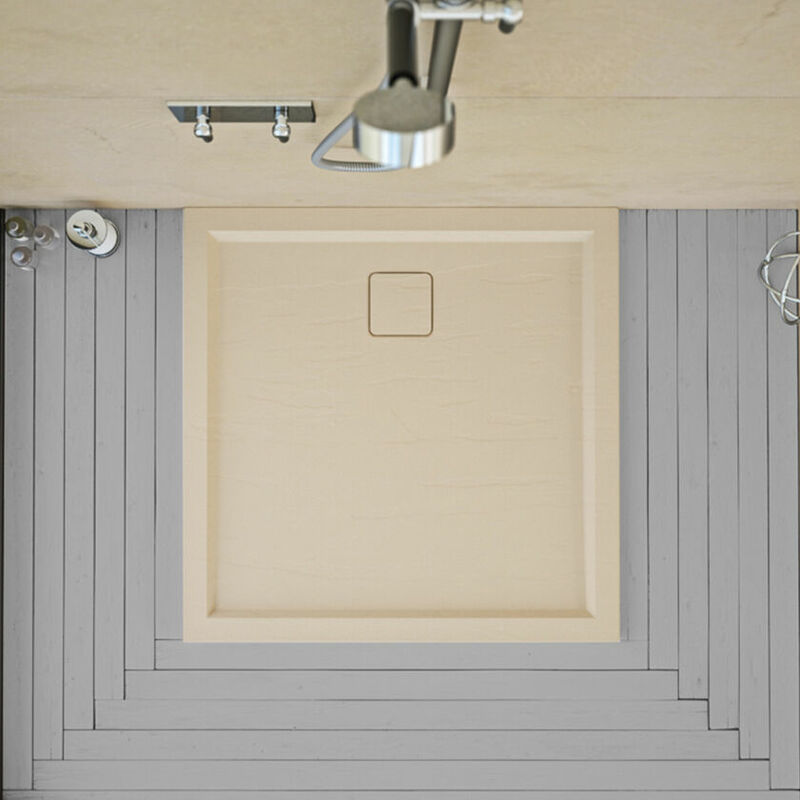 Matki Shower Floors are designed for a flush appearance. If the showering area is not fully enclosed water may escape the edges of the Matki floor. This should be considered during design and installation in a fully tanked and prepared wet room area.